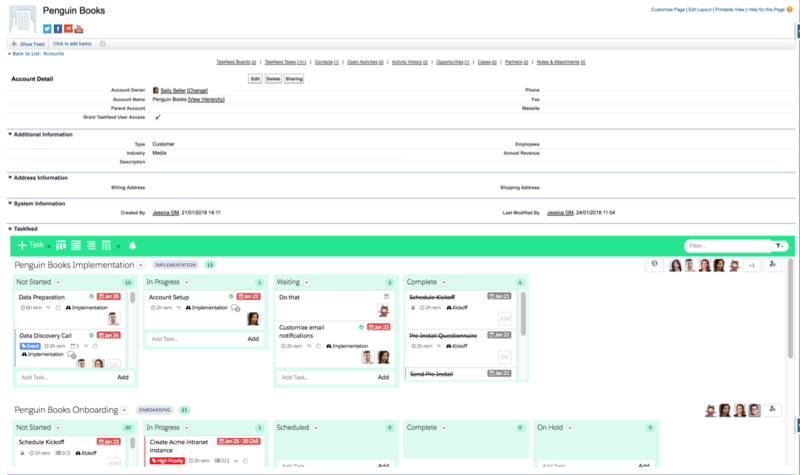 Taskfeed has been designed to work alongside your Salesforce Standard and Custom Objects. Out of the box, Taskfeed provides lookup fields to relate Account or Opportunity records to a Taskfeed Board or a Taskfeed Task. You can also create additional lookup relationships between Taskfeed Boards, Taskfeed Tasks and other standard or custom objects if you like. To view related Taskfeed Boards and Taskfeed Tasks from an Account or an Opportunity record, your Salesforce Administrator must add the Taskfeed Board and Taskfeed Task-related lists to the Related section in the Account and Opportunity page layout. 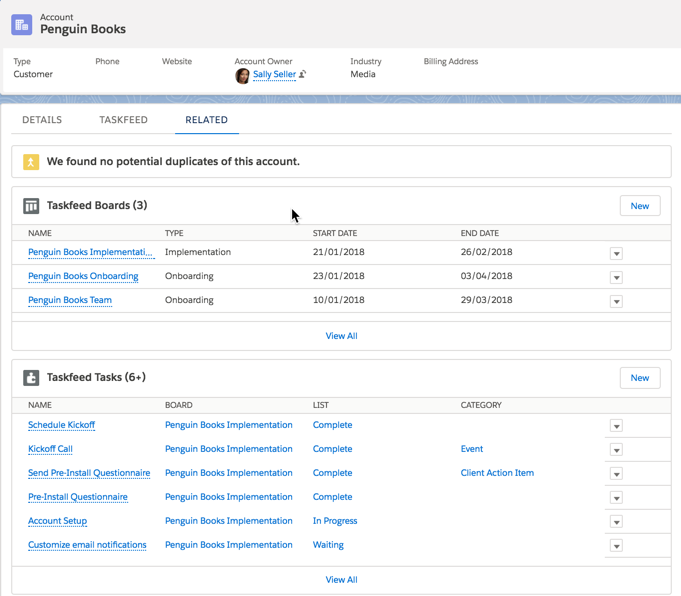 Taskfeed also provides pre-built Visualforce pages to display related Boards for both the Account and Opportunity objects. They also can be added to the page layout for these objects, but the way they are set up depends whether your Organization is using Salesforce Classic or Lightning Experience. Are you using Salesforce Classic or Lightning Experience? Consider whether your Taskfeed users will be using Salesforce Classic or Lightning Experience. The section of the record page where Related Lists are configured is managed the same way for both Classic and Lightning, but the page areas where the Visualforce element may be added in Lightning Experience display differently.